OWoN: America squanders Trillions on Bases and Global terrorism. China instead invests in Catch Up and a vast new Trade base. 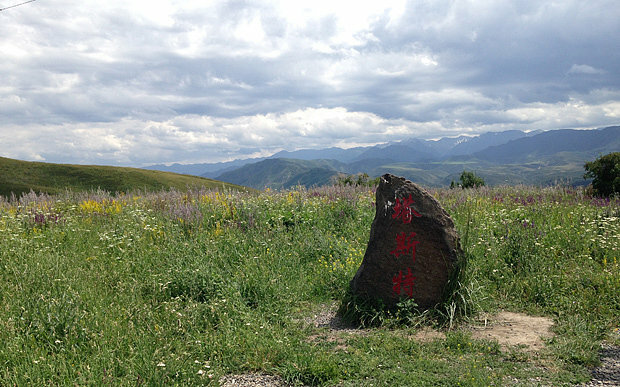 On the westernmost fringe of China’s western outpost of Xinjiang, the 1,000-mile border with Kazakhstan passes barely noticed among the pastures and mountain peaks that are still capped with snow in July. The hills are alive with the sound of shepherds on motorbikes, for whom the border, finally agreed between the two nations in 1998, is an irrelevance as they track their flocks of Bashibai sheep. 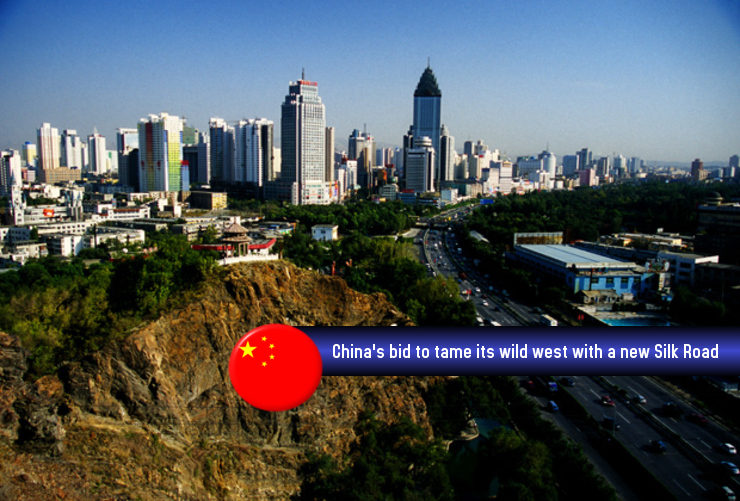 It’s an unlikely place for an international free trade zone. This region, dotted with nomadic yurts and an uneasy mix of 56 ethnic groups including the Uyghur plurality, is being held up as China’s bridgehead into Central Asia and Europe. President Xi Jinping announced plans in 2013 to construct a new Silk Road for international trade, stretching from the eastern sprawl of Shanghai and Beijing through Xinjiang to Kazakhstan, Pakistan, Afghanistan before snaking into central and western Europe. 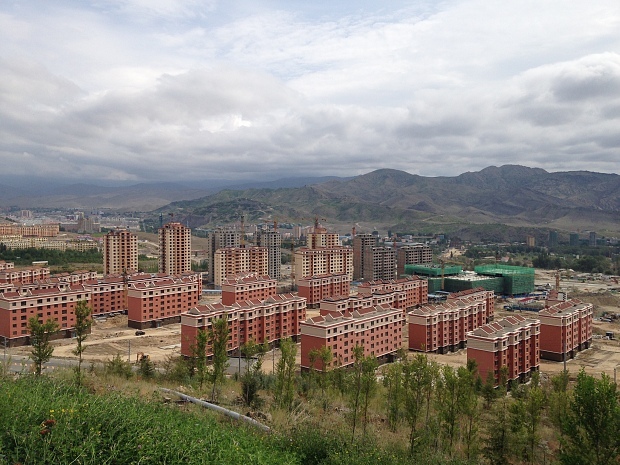 The plan taking shape re-imagines dusty towns such as Tacheng, just over 10 miles from the Sino-Kazakh border, and new settlements like Horgos as land-ports for everything from tomatoes to cement mixers to make their way west. Yunnan coffee and Hewlett-Packard computers are already being exported by freight train, a two-week journey to Europe on the new Silk Road. Tax breaks, infrastructure and diplomacy are all being deployed to push China’s ties to the trading partners in its back yard. Like Beijing’s efforts to micro-manage the Chinese stock markets in recent weeks, the Silk Road initiative that launched in 2013 is a grandiose intervention that comes with some startling numbers. A $40bn (£26bn) infrastructure fund will be used to throw down bridges, roads and airports at staging posts along the route, while a a new $16bn Silk Road gold fund is intended to stockpile the metal and support mining projects along the trade routes. Mr Xi has said that the scheme would generate $2.5 trillion of additional trade for all those involved over the next 10 years, although the likelihood of Xinjiang being transformed into a global hub in the same way as other Chinese cities seems fairly remote. Unlike other regions, Xinjiang has so far barely felt the rumbles of China’s roaring financial markets and burgeoning international trade more than 3,000km (1,864 miles) away in Shanghai and Beijing, in spite of the billions raised in the financial world to pay for the region’s development. The Chinese stock market has taken a 30pc plunge in less than a month, which by last week had wiped $3.5 trillion from the value of the country’s equities. More than 1,300 stocks are suspended. While the crash affects just 10pc of the country’s households that hold stocks and shares, and almost no overseas investors, there are fears that if the state fails in its attempts to ease the panic, there is some danger of a full-blown crisis that spreads to the “One Belt, One Road” spending spree. 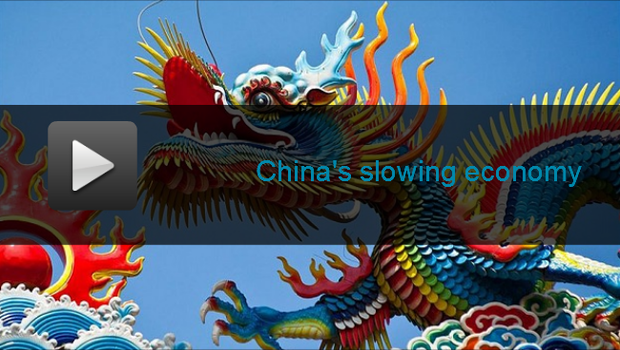 Beijing’s hopes of sustaining a mythical “slow bull” market will be tested to the limit in the coming weeks, as it beds in measures to curb short-selling and ban large investors from selling out for the next six months. The People’s Bank of China, which has a fondness for announcing major interventions on Saturdays, will be hard at work again this weekend. Out in Xinjiang, meanwhile, economic growth is taking a relatively pedestrian pace, by Chinese standards. There are just 39 firms with stock market listings in the province, which is three times the size of France. The stakes in building this province are raised further by persistent unrest among small numbers of people from Xinjiang’s ethnic minorities, who feel their way of life and stake in the area have been left behind by decades of construction, first to fortify the border region and now to open it up again. Xinjiang Uyghur Autonomous Region officially became a province within China in 1955 and was soon flooded by millions of migrants, recruited from schools and army corps in eastern cities, to ensure the area stabilised. The population swelled from 3m to north of 21m, taking the proportion of Uyghurs, a primarily Muslim ethnic group, down from 80pc of the population to less than half. Frustrations among the groups have spilled over into violence, most graphically on July 5, 2009 in a riot in the capital Urumqi where the official death toll stands at 197 and which prompted the government to switch off internet and phone access in the region for six months. Locals joke that the lockdown produced a baby boom, although it did not prevent a cycle of retaliations and crackdowns. The new factories, highways and housing estates built around the region in the past few years have typically been finished off with a poster, in both Mandarin and Uyghur – a first language for about 10m people in Asia – professing inter-racial solidarity. “Like the roots of the forests in the Tien Shan mountains, so the ties between the ethnic groups run deep”, according to one slogan attached to the trees outside a mosque in Urumqi, the provincial capital and home to 3.5m people. Beitun, on the northern branch of the new Silk Road, is doubling in size to 220,000 residents under the latest investment push. Rows of identical tower blocks are linked by empty tree-lined highways through the scrubland. Builders on the project “see themselves as half soldiers, half farmers”, the successors of the paramilitary construction corps of the 1950s and 60s, said one local official. Work starts at sunrise and continues through the 40-degree summer afternoons. While the authorities say 93 companies have signed contracts to open factories in a new industrial zone that comes with generous tax incentives, just one international firm, the Korean food producer Orion Confectionery, has started work. The local government has co-ordinated farmers in the region to grow the right kind of potatoes for the firm to use in its chocolate pies. Several hours north in Altay, a building programme has added 8,000 apartments and counting since 2012, and reclaimed two mountains from the desert by ordering civil servants to take part in a biannual tree-planting programme. Officials said that most of the homes will be sold to the same civil servants. “There were rumours that the local government was moving out of the city – so we are building this now, to show it will stay,” said an official involved in the project. The electricity bill alone for keeping the trees watered runs to 700,000 yuan a year. Coca-Cola, Honeywell and Volkswagen are among the foreign multi-nationals to have set up businesses in the region in recent years. Chinese companies picked out as success stories during a government-organised visit to the region included the wind turbine maker Goldwind and TBEA, the Shanghai-listed power transmission firm notable for its development projects in Africa and its twice-yearly collective weddings on the campuses where most of its employees live and work. Many of these firms proudly display photos of President Xi, who has made himself visible in the province on several official tours. There are some doubts, however, about increasing exports to central Asia at a time where Russia is hobbled by recession and sanctions. At the Shaanxi Motors facility near Urumqi, work hours have been cut and the production lines for the group’s industrial vehicles have been merged. While the plant has experienced double-digit growth in the years since it opened in 2011, this year is looking “less promising”, said Ke Xianzhi, a vice president at the site. “There’s a drop in the market requirement in Xinjiang, and the market for contracts from central Asia, especially Russia,” he said. Kazakhstan has been picked out as a priority export market, with Shaanxi establishing a new assembly line in the country designed to skirt the hefty export tax on entire vehicles. Meanwhile, Mr Ke and his team continue to work at reduced capacity and live near the factory in a company-run dormitory. About a fifth of the employees are from ethnic minorities, and are free to observe Ramadan if they choose, unlike state employees who are officially prohibited from fasting. “We will try to deal with [the slowdown] by trying to find new markets and raising efficiency ourselves. Considering the [Silk Road] economic policy, there will be a lot of projects. If these projects come to pass, the momentum will rise,” he said. At the Kazakh border, the Silk Road push is changing the landscape. 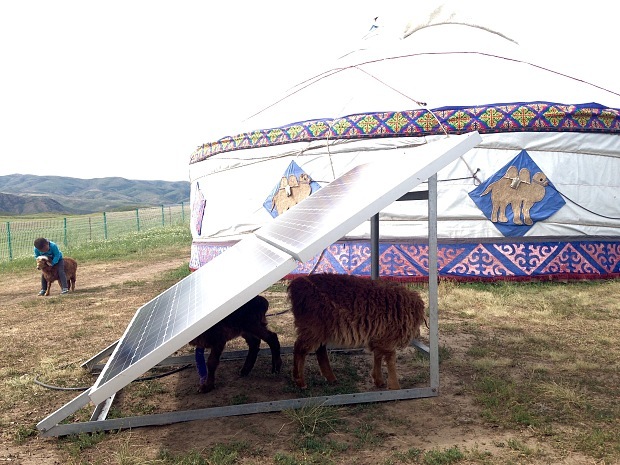 A rotating cast of Communist Party members, who move to the region for a year or two to learn about agriculture, are trying to persuade more than 100 families living in nomadic tents in the hills to move into purpose-built homes in a new village. The farmers are asked to pay 2,500 yuan for a home, giving up outdoor living in the winter to settle near their former neighbours in town and find work in construction or perhaps tourism. “It was the family members that persuaded those who were not enthusiastic, by showing them that their neighbours had convenience and potential business opportunities by coming to Baktu,” said the director of the programme. About 100 people are still left in the hills, refusing to move. Kulishaxi Kaikaxi, a Kazakh who moved two years ago, has opened a restaurant in the dining room of her new home this year, using a 50,000 yuan small business loan. “Some tourists find the restaurant on WeChat – we’ve had about 100 customers so far from the internet,” she said. Until 2013, the border at Baktu would be closed sporadically, leaving nearby towns with food shortages. However, Jong Yen, the general secretary of Tacheng, said the border had operated normally in the past two years, barring occasional pauses for public holidays. 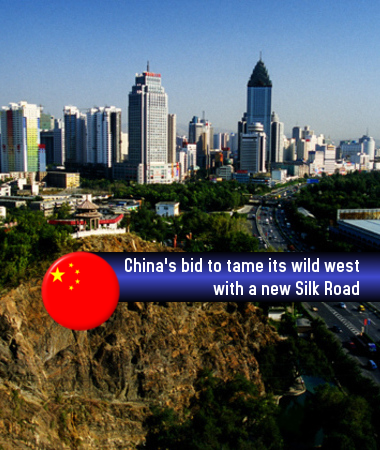 “I think the Silk Road is a road of fortune for Tacheng – we’re standing at the forefront of this scheme. We are developing into an international city,” he said. As the harvest season approaches in Xinjiang, he expressed confidence that the maize and rapeseed crops will continue to boost incomes for farmers in the area – which last year reached 13,000 yuan a year, or £1,360, roughly enough for two plane tickets from Urumqi to Beijing and back.